There is power in persistence. I have told this story several times to friends and family, but I do not think I have shared it on my blog. There was a time, three years ago, when I was tempted to quit writing. In 2011, I had self-published the Muirwood Trilogy and the reviews were good, but I was feeling a little discouraged because there were still so many typos that needed fixing. I have since learned that even with a whole crew of dev editors, line editors, and so forth, those pesky typos still get through. But at the time, I was a little discouraged. My biggest regret now about self-publishing was not hiring a capable copy-editor. Word to the wise – it’s worth every penny! During Christmas breaks I usually took a few weeks off of work from Intel. A friend/fan in Australia had offered to send me a list of the typos she had found reading her Kindle version and I was grateful for the help, since I came to the realization that I could not spot them on my own. On a wintery afternoon, I was fixing them all, one by one, feeling a little gloomy and sorry for myself. I was tempted to quit, I will admit. I struggled to balance all the parts of my life and wondered if it was even worth it juggling my writing too. 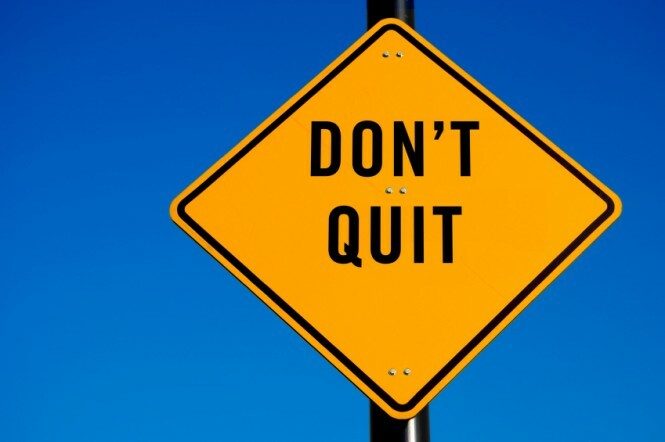 Gratefully, I had read a story in Napoleon Hill’s book about a man who had quit his goal prematurely and regretted it. The story goes on that most success comes just after a moment of discouragement. I was also motivated by a 2009 TED talk by Simon Sinek called “Start with Why”. It’s a great talk (https://www.youtube.com/watch?v=sioZd3AxmnE) and it made me think about why I was a writer. Watching that video led me to write something in December 2011 which I dubbed “A Manifesto on Virtue” http://www.jeff-wheeler.com/?page_id=447 and posted it on my blog that month. Here we are, 3 years later and it still resonates with me. I fixed the typos in Muirwood. I re-posted the Kindle versions and fixed the print versions too. Two weeks later, I did my first Kindle Direct promotion. I still have a screenshot from the night I checked the result and saw that over 10,000 readers had downloaded Wretched. I stared at the screen, trying to breathe, and was soooo grateful I had not succumbed to the fleeting temptation to quit. A few months later, I got a call from 47North. Never give in. Never, never, never give in. I just received this gift from my publisher to celebrate my favorite book (Blight of Muirwood) reaching over 100,000 sales. 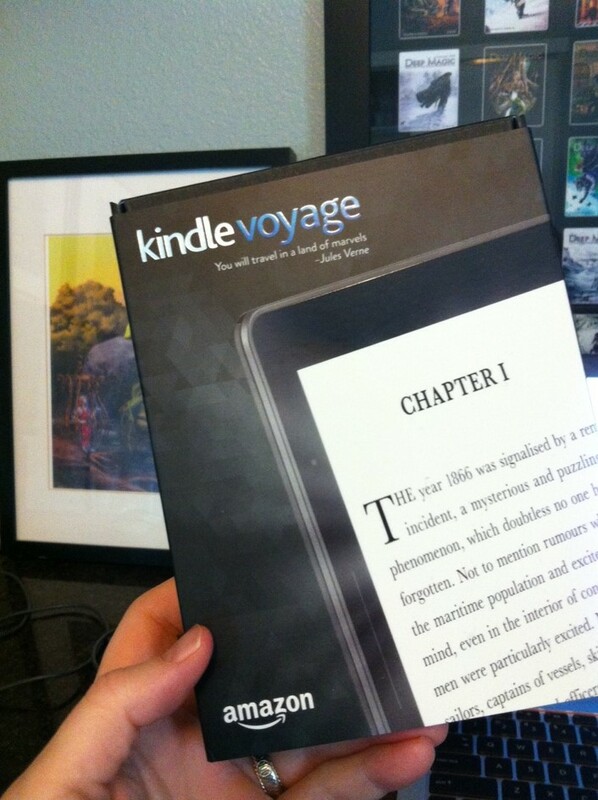 Looks like I will be doing some reading over the Christmas break on my new Kindle Voyage! And fixing typos too. I’m still doing that, even though it’s hard and tedious. Status update: I have finished writing the rough drafts of the first two new Covenant of Muirwood books and have started on book 3. This is the fastest I have ever written a novel in my life, let alone two. I’m on track to have the third book finished by my birthday in March. Cover art for Poisonwell is almost ready to be revealed. And the team doing my first Muirwood graphic novel is assembling. I love my new life as a full-time writer. Thank you, dear reader, for making all this possible. How! Not sure if I followed the link in my copy of scourge just as you wrote this but this is truly inspiring. I fell in love with the Muirwood trilogy and re-read them when I need to escape reality. You write so beautifully that typos don’t take away from the story that unfolds in the reader’s mind but like any writer I can understand you are probably your worst critic. This is much more long winded than I planned… I really just stopped in to see what my next read will be and you’ve answered that. Thank you for writing this inspiring post and I look forward to reading your future works! Thanks for writing this, Jeff. There have been times where I have been discouraged as an author as well. I have wondered if more people will ever read my books, but I am very grateful for the few fans that I have. I believe someday more people will learn about my books. And though critique can be hard to take, it’s worth having. When you have critique, whether it’s positive or negative, you can be happy in the knowledge that the person took the time to read your book and the thought to critique it 🙂 And if you take the critique gracefully, you can become a better writer. You have great talent; never stop writing! Thank you so much for writing, and letting us all enjoy reading your books! I came across your Muirwood trilogy purely by chance (my good luck!) and literally couldn’t put them down. The character of Lia struck such a chord with me it was like I was reading about myself at times…just wonderful. I have now downloaded all your books and I’m currently reading the Landmoor series. Just was good as I’d hoped! So, a huge thank you for giving me such a wonderful reading experience. I have been cover shopping, and have used your covers as possible examples for what I want– I have also learned the absolute-must for covers that tick all the right boxes for genre and reader expectations. I was wondering- did you start off with concept art and built your brand or did you always have the more thematic-symbolic covers for your books? I am trying to decide what is the best route to take, and if it makes a big difference. I know your covers tick all the boxes and are visually stunning… so I was just wondering if those covers are what catapulted you to the top? The quality of the writing counts more than the cover. People can be attracted to good cover art, and it will get someone to try out a book, but it’s the writing that makes it sell. My original covers for Muirwood were awful (during my self-pubbed days). Thankfully the writing helped readers see past it.